Johnny Cash may be gone, but his music lives on in Cash’d Out, a terrific tribute act featuring Douglas Benson, whose voice is a dead ringer for Cash’s early era. He even looks a bit like Cash! 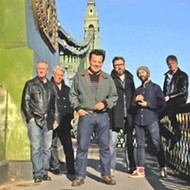 The band is the only tribute act endorsed on the official Johnny Cash website, johnnycash.com. Even members of the Cash clan dig these guys. 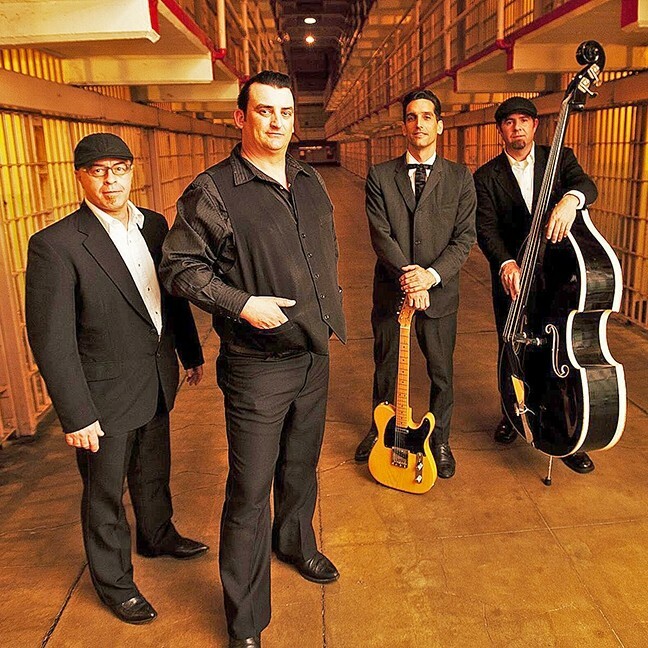 PRISON BLUES: Johnny Cash tribute act Cash’d Out, here posing at Alcatraz, brings the vibe of Cash’s Folsom Prison and San Quentin live albums to their show at Tooth & Nail on May 14. Cash’s longtime drummer W.S. Holland also sat in with the band when they played a birthday celebration for Johnny Cash hosted by Bill and Shannon Miller of johnnycash.com at the Fender Museum in Corona, Calif.
“And Bill let me play Johnny’s cherry sunburst Guild guitar,” Benson added. 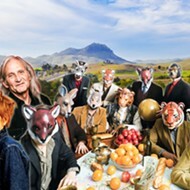 With more than 150 songs in their repertoire, this is a band you can watch again and again. They have the energy and feel of Cash’s live concerts at Folsom Prison and San Quentin. Good Medicine Presents is bringing Cash’d Out to Tooth & Nail Winery this Sunday, May 14 (5:30 p.m.; all ages; $16 general admission; $66 for the “VIP experience” featuring early entry, a “complimentary splash of Rabble Rose,” reserved seating on the upper east terrace, table service, and a “nosh box”). “I Walk the Line,” “Don’t Take Your Guns to Town,” “In the Jailhouse Now,” “Ring of Fire,” “Folsom Prison Blues,” “A Boy Named Sue,” “One Piece at a Time”—these guys will bring the hits! DECADES OF BLUES: Former Elvin Bishop sideman Terry Hanck brings his band to the SLO Vets Hall on May 13, for the next SLO Blues Society dance concert. 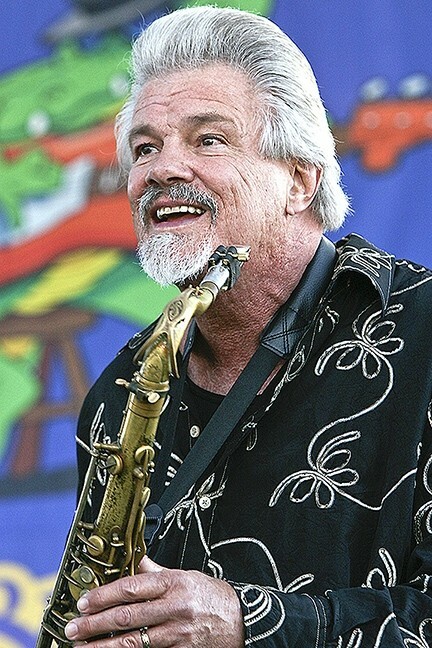 Whether you’re into ’50s swing, ’60s R&B, ’70s soul, or ’80s Southern blues rock, tenor sax-man Terry Hanck will have you covered this Saturday, May 13, when he and his band appear at the next SLO Blues Society dance concert at the SLO Vets Hall (8 p.m.; 21-and-older; $25 at the door or in advance at Boo Boo Records and Cheap Thrills in SLO and Paradise Trading Post in Santa Maria). SLO Dance offers free dance lessons at 7:30 p.m. In 2012, he won a Living Blues Award for best horn; and he won two Blues Music awards for best instrumentalist (2012) and horn (2016). His newest albums—Gotta Bring It On Home To You (Delta Groove, 2014), a tribute to the “soul rockin’ blues” of the ’50s and ’60s; and From Roadhouse to Your House (Vizztone, 2016), recorded live at the California State Fair—carrying on his tradition of exploring decades of blues sounds. 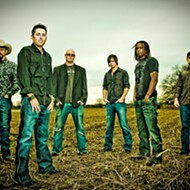 His band includes Johnny “Cat” Soubrand on guitar, Tim Wagar on bass, and Butch Cousins on drums. The week before this show, Hanck will find out in Memphis whether he’s won his third Blues Music Award for best horn. 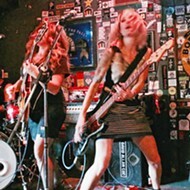 Local high-energy bluesy dance act Back Bay Betty will open the show. It’s pretty impossible to listen to Steep Ravine and not get swept up by their harmony vocals, acoustic string prowess, and engagingly wistful songs. This young quartet seemingly burst onto the scene a few years ago and quickly established itself as something special, but they got their start long before then. Songwriter Simon Linsteadt (guitar, lead vocals) and Jan Purat (violin, vocals) started playing music together while in high school, later going on to study at UC Santa Cruz and the California Jazz Conservatory. During jam sessions, they met bassist Alex Bice, and they recently added drummer Jeff Wilson. Early gigs included playing a Hawaiian barbecue joint in Santa Cruz and busking on the BART metro stations of San Francisco, but since then they’ve toured the country and played high-profile gigs such as the High Sierra Music festival, the Four Corners Folk Festival, Pagosa Folk n’ Bluegrass, Outside Lands, and the Strawberry Music Festival. 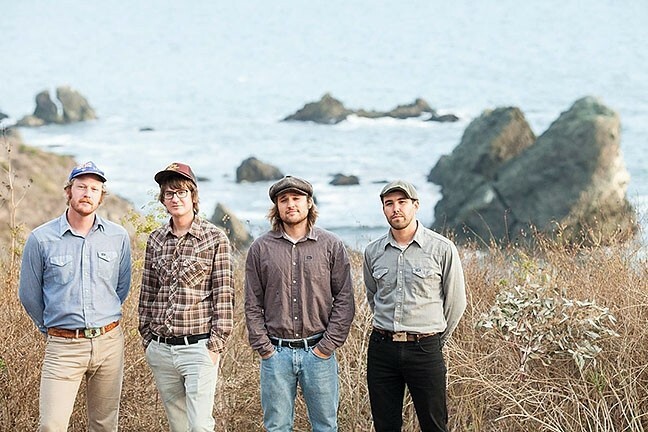 This weekend, SLOfolks brings Steep Ravine to the area for two shows: Friday, May 12, at Coalesce Bookstore in Morro Bay (7 p.m.; all ages; $20 at 772-2880); and Saturday, May 13, at Castoro Cellars in Templeton (7:30 p.m.; all ages; $20 at 238-0725 or Boo Boo Records). The Cuesta College Music Department has a big slate of all-ages shows this week in their Cultural and Performing Arts Center (CPAC), with tickets—usually between $5 and $15—available at cuesta.edu, where you can find details about all their shows. SONGSMITH: Gifted singer-songwriter Jude Johnstone (pictured) plays the Steynberg Gallery on May 12, with violinist Sal Garza and cellist Bob Liepman. Highlights include Bob Bennett directing the Cuesta Jazz Orchestra this Friday, May 12, at 7:30 p.m. Formerly known as the Monday Night Band, each member is a highly experienced jazz player. Ron McCarley directs the award-winning Cuesta Jazz Ensemble on Saturday, May 13, at 7:30 p.m., featuring the college’s Big Band as well as a few smaller combos. The Cuesta Choirs present a Mother’s Day concert on Sunday, May 14, at 3 p.m. Champagne and handmade gifts will be available, and every mom in attendance will get a free raffle ticket with a chance to win pampering Mother’s Day gifts. John Knutson conducts. On Tuesday, May 16, at 7:30 p.m., check out Combopalooza, featuring Cuesta Jazz Combos directed by McCarley. Expect a fast-paced variety show of eight groups. And on Wednesday, May 17, at 7:30 p.m., hear a Chamber Music Concert featuring a variety of music for small ensembles: solos, duets, trios, and more. ROAD WARRIORS: Hardworking blues touring act Tony Holiday and the Velvetones plays the Frog and Peach on May 13. Reggae, ska, punk, and hip-hop acts M.K.C., ONE Oz, Simple Sinsation, and special guests Call Me Clarity and Bonustrazz play the Otter Rock Café on Thursday, May 11 (7 p.m.; all ages), in a special acoustic performance. 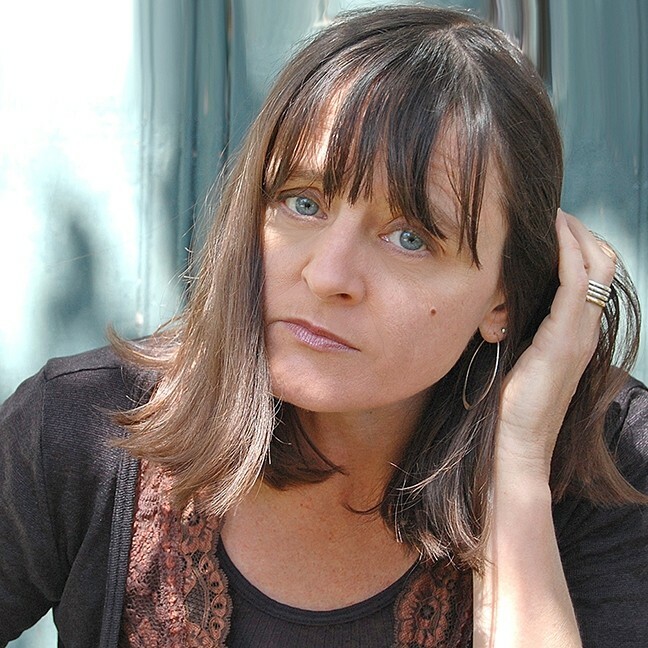 Amazing singer-songwriter, comedian, and actor Teresa Tudury will play Don’s String Shop in Los Osos on Thursday, May 11 (7 to 9 p.m.; all ages; suggested donation $20; call 528-4814 for reservations). Vocalist Inga Swearingen and guitar wiz Guy Budd will play a free in-store concert at Boo Boo Records this Friday, May 12 (6:30 p.m.; all ages). These two make some really special music together, and getting up close and personal in Boo Boo’s intimate concert space will be a treat. Pianist and Cal Poly Music Department Chair W. Terrence Spiller will give an all-Beethoven recital this Friday, May 12 (7:30 p.m.; all ages; $14 general admission; $9 students at 756-4849), in the Performing Arts Center Pavilion. Expect Beethoven’s first piano sonata, Opus 2 No. 1 in F minor, followed by Opus 101 in A major, Opus 13 in C minor (“The Pathetique”), and concluding with Opus 31 No. 3 in E-flat major. Proceeds will benefit the Cal Poly Music Department Scholarship Fund. 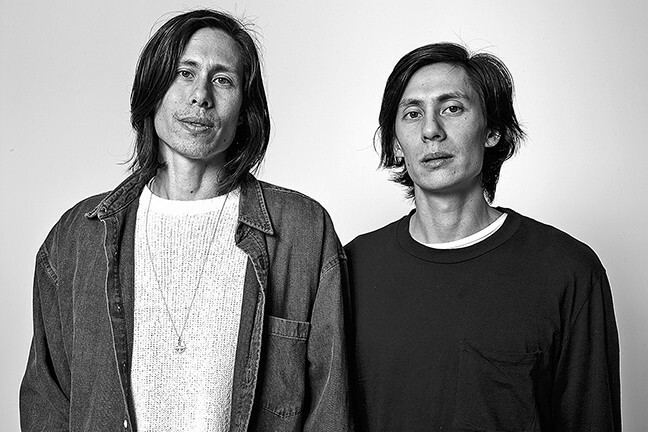 BAY AREA BROTHERS: Moody, atmospheric duo Nine Pound Shadow plays SLO Brew on May 15. Amazing singer-songwriter and performer Jude Johnstone has added a last-minute local concert on Friday, May 12, at Steynberg Gallery (7:30 p.m.; all ages; $15 tickets at 547-0278). Johnston, who recently released the critically acclaimed new album A Woman’s Work, will be accompanied by violinist Sal Garza and cellist Bob Liepman. Bluesy Erin & The Earthquakes will provide the musical backdrop for the second annual Central Coast Cider Festival at the Atascadero Pavilion on the Lake, this Saturday, May 13 (5 to 8 p.m.; $65 at eventbrite.com). Your ticket also includes a traditional English pig roast prepared by Chef Jeffery Scott of Vineyard Events and a commemorative 2017 Cider Festival glass. “The cider revolution is sweeping America, and our region has been on the forefront of this delicious trend that complements the area’s wine and brewing scenes,” said Neil Collins, founder of Cider Fest and owner of Bristols Cider. MAD LOVE: Pop sensation JoJo plays the Fremont Theater on May 17, as part of her Mad Love Tour. Ripping blues act Tony Holiday and the Velvetones play the Frog and Peach this Saturday, May 13 (10 p.m.; 21-and-older; free). This is a real touring juggernaut, spending eight months out of each year touring the U.S. and Europe. The Central Coast Children’s Choir presents two upcoming spring concerts on Saturday and Sunday, May 13 and 14, (3 p.m.; all ages; tickets at brownpapertickets.com), in SLO’s United Methodist Church. Featuring 70 voices and six choirs, they’re calling these shows Colors in Concert, as the choirs will highlight music using every color of the rainbow with songs such as “What a Wonderful World,” “Des Colores,” “Blue Skies,” “Somewhere Over the Rainbow,” “The Blue-Tail Fly,” and will end with all the singers performing “True Colors.” Bring your mom! Flamenco and world music jazz artist Patrick Contreras plays the final Live Jazz on the Monterey Street Terrace show this Sunday, May 14 (11 a.m. to 1 p.m.; all ages; free). These events are run-ups to next week’s SLO Jazz Festival on Saturday, May 20, in Mission Plaza. Jazz vibraphonist Charlie Shoemake and his first wave of students from The Central Coast Jazz Institute will showcase a new recording, Central Coasting, this Sunday, May 14, in Cambria’s Painted Sky Studios (6:30 p.m.; all ages; $20 suggested donation; call 927-0179 for reservations). Performers include Josh Collins (guitar), Keegan Harshman (bass), Darrell Voss (drums), and Sandi Shoemake (vocals). 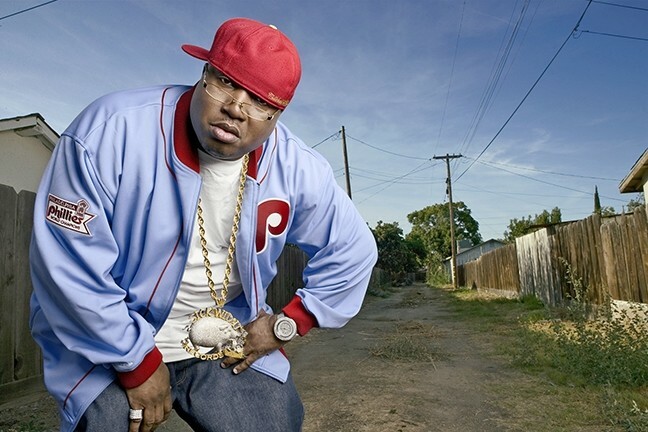 HIP-HOPOLOOZA : Bay Area rapper E-40 headlines a multi-act show at Fremont Theater on May 18. Berkeley-based moody, atmospheric duet Nine Pound Shadow plays SLO Brew this Monday, May 15 (10 p.m.; 18-and-older; $12 at ticketweb.com), opening for Geographer. Nine Pound is the newest Danger Mouse signee consisting of brothers Breandain and Christopher Langlois, who released their first EP on Danger Mouse’s label, 30th Century Records. The dreamy, echo-filled tracks sound like ’60s folk filtered through 21st century shoegazer emo-pop. The Cal Poly Music Department has a slew of free recitals starting on Tuesday, May 16, with a Polyrhythmics Percussion Recital (7:30 p.m.; all ages), in the PAC Pavilion. 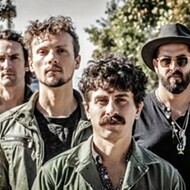 Visit music.calpoly.edu/calendar/free for a complete listing of these free shows. Pop sensation JoJo was supposed to play the Fremont Theater in February but the show was canceled. Instead, she’ll play this Tuesday, May 16, as part of her Mad Love Tour (8 p.m.; all ages; $25 to $125 tickets at ticketfly.com). Her first full-length collection in 10 years, Mad Love, is her third consecutive release to debut among the top 10, and reached No. 1 on the iTunes Pop Chart, debuted at No. 2 on the Billboard Digital Album Chart, and No. 6 on the Billboard Top 200 Chart when it was released last October. All previously purchased tickets for the postponed date will be honored. Hip-hop fans prepare yourselves for Otter Productions Inc.’s multi-act show at the Fremont Theater next Thursday, May 18, with E-40, Kool John, Clyde Carson, Tha Native, and Skinny Pete (doors at 8 p.m.; all ages; $33 at vallitix.com or Boo Boo Records). E-40 is synonymous with Bay Area rap, having formed the rap group The Click and founded Sick Wid It Records. He’s released close to 30 studio albums since he got his start in the late ’80s. Last week I mentioned that Tim Reed was helping Pozo Saloon get their concerts up and running again after a couple cancellations due to mismanagement. While he was Shoreline Amphitheatre’s general manager for two years, he was not involved in its development. Reed did build Vina Robles Amphitheatre as well as Denver’s Fillmore Auditorium and City Lights Pavilion, and Yuba County’s Toyota Amphitheatre.